Snugpak Stratosphere Bivvy Shelter Olive Drab | BUDK.com - Knives & Swords At The Lowest Prices! Markedly smaller and more compact than standard bivvy tents, but complete with all the necessary features and aspects of larger tents, the Snugpak Stratosphere Bivvy shelter is crafted of super tough 50D nylon rip stop fabric and designed to withstand extreme weather and use. The Stratosphere Bivvy features lightweight aluminum poles, a roll-away mosquito net, mesh ventilation design, and weatherproof seams. This one-person tent easily folds down into its own compression sack, making it super easy to transport. 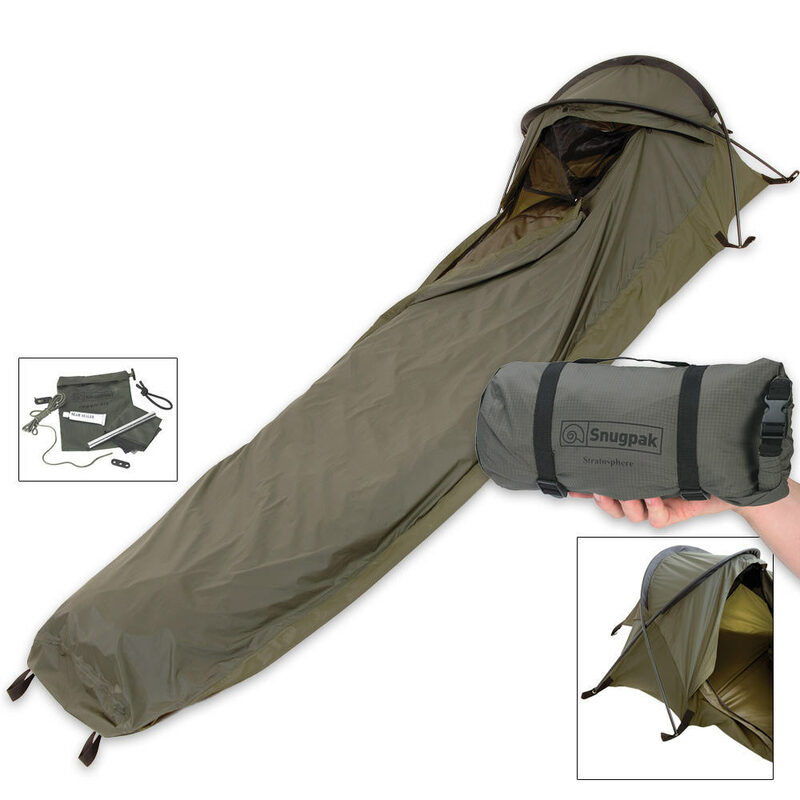 Stay dry and covered with the Snugpak Stratosphere Bivvy Shelter.